Homeowners who require rodent removal services for their houses in Brea, California, are better off calling a professional than relying on “do it yourself” methods. It takes many years of experience to be able to identify infestation sites and entry points and develop a treatment strategy that will effectively and efficiently eliminate all rodents from a home. In some cases, delaying effective treatment may allow rodents to spread, resulting in unsanitary conditions and extensive damage. 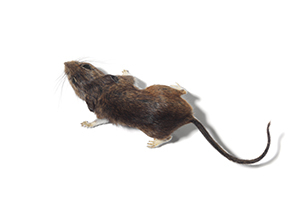 At Kilter, we utilize the industry’s most advanced methods and products, such as RO-DEX, and create rodent removal plans that are tailored to our customers’ unique circumstances. We monitor infestations at regular intervals and, once we’re certain that no rodents remain, provide our customers with a two-year warranty. Additionally, we can even help clean up the mess that rodents have left behind. For example, if rodents have made nests of your insulation, we can replace it with specialized TAP Pest Control Insulation, adding a shield against future infestations. Kilter Termite and Pest Control is proud to have provided highly effective rodent removal services for homeowners in Brea, CA, and all nearby areas since 1991. Contact us today to schedule your free inspection.